I wanted to share with you photos of wedding bouquets I made late last summer. Each bridesmaid bouquet is made with 15 flowers. Each flower has 5 petals. 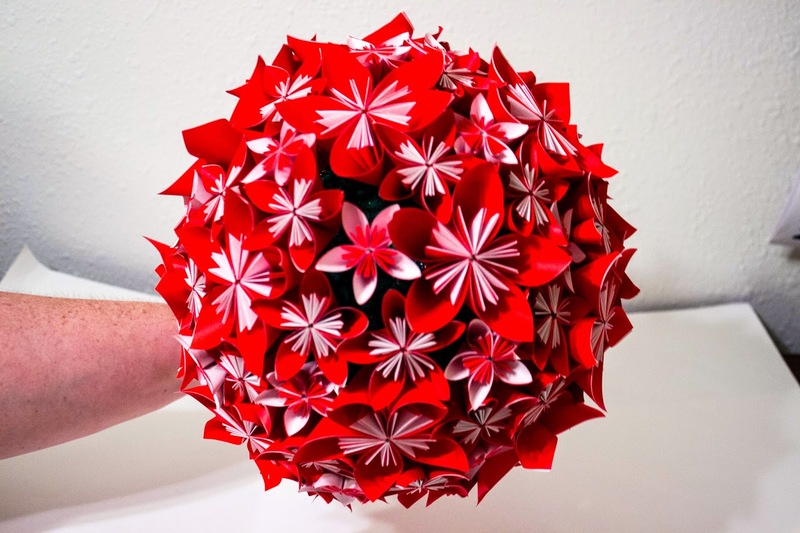 Each petal is made with one sheet of square origami paper. Flowers are attached to floral wire and secured together with floral tape. The bride's bouquet is made with 87 flowers, in a variety of sizes. For a total of 435 sheets of paper. I attached each flower to a green floral stem and inserted into a floral form ball that I painted green with acrylic. All stems were attached with epoxy to ensure it would last. The handle is wooden covered in floral tape. 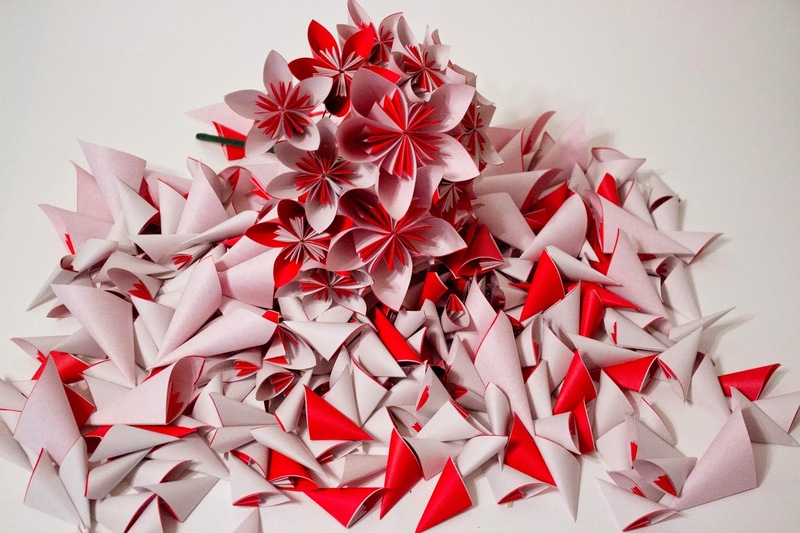 The project took over a month and 810 folded sheets of paper. I am so happy I was able to be a part of this bride's special day. 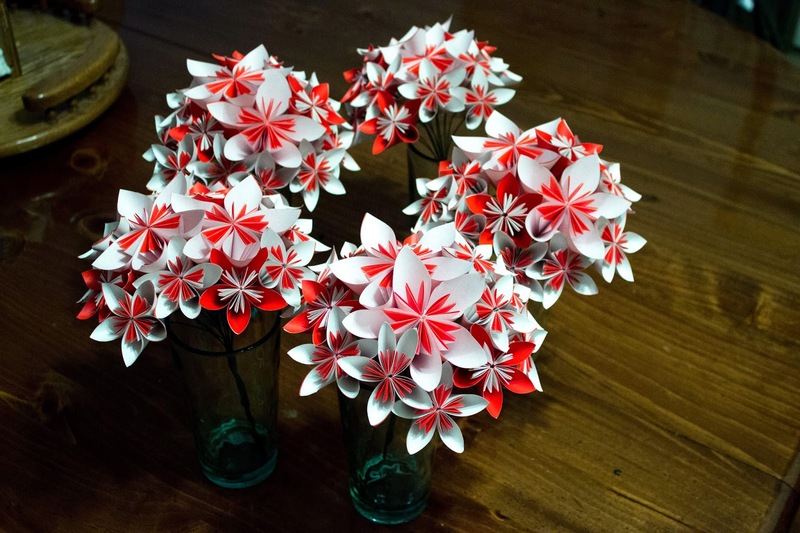 The bouquets are made with origami, kusudama flowers. These flowers are one of the first things I learned to fold not from diagram, but from youtube. The video is embedded below.